LSE alumni and guests are invited to come round the bases for a fun afternoon of baseball at Nats Park. 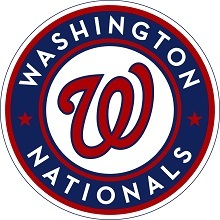 Team AFLSE DC has reserved mezzanine tickets for the Nationals vs. Giants game on Sunday, June 10th, at 4pm. Space is limited, so batter up for your spot ASAP. Space is limited. Ticket sales through AFLSE ended May 29th. All sales are final.